The world is truly a strange place, isn’t it? There are dogs that can surf, a town in the US was taken over by a wandering band of rogue goats, those terrible Transformers movies do amazingly well in China, and a Malaysian recently found a way to fry durians and combine them with cheese. Truly, this is a strange world. The newest piece of news that makes us at Sevenpie scratch our heads in puzzlement is the announcement that Archie Comics is collaborating with Spotify to bring their comics onto the streaming service! 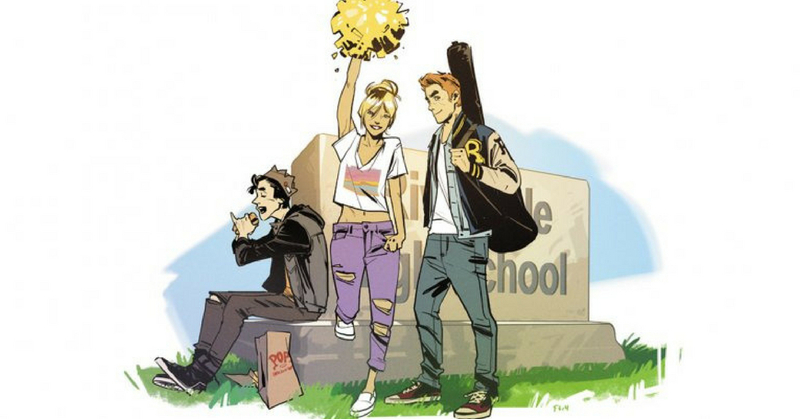 Jokes aside, according to online sources, they are going to make motion comics out of the absolutely excellent 2015 Archie Comics reboot written by acclaimed comic book scribe Mark Waid (Captain America, Daredevil, among many others) and drawn by the fantastic artist Fiona Staples who also drew the amazing series known as Saga. This reboot radically reimagined what the classic comic characters looked like and initially received some pushback but eventually went on to win critical and fan acclaim. This announcement seems to tie in with Archie Comics’ efforts to modernize and increase the spread of their comics and their stories. The new TV show Riverdale was another way Archie and gang got to take flight in a new medium; live action. So it would seem that motion comics on Spotify is just another link in that particular chain. Although we personally find the idea of comics being on Spotify to be truly bizarre, we do think that this storyline is fantastic and that more people need to read it. So maybe it’s a good thing that Archie Comics is pushing the boundaries of what comics are and how they can be experienced. Last but not least, is it still considered ‘reading’ if you’re watching it unfold like an animated short?